Eloise got her first birthday gift in the mail. 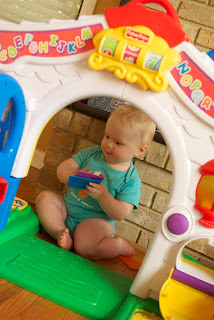 Great Grandma Fitz kicked off the birthday celebration with a Little Tikes Car & VTech Laptop for Eloise. She loves them both! Eloise had her first double date...technically. We got together with our friend Tanya and her twin boys, Rowan & Kendrick. We went to Cosley Zoo and then came back to our house to play. The boys are 9 months old and tons of fun. Tanya is an amazing mom and some how makes twins look easy. The boys had a blast playing with Eloise's toys and she did a fairly good job of not crawling on top of them. Kendrick and Eloise are definitely kindred spirits. They are both constantly on the move and have the same fun personality. Tanya & I decided that he would most likely be Eloise's pick! 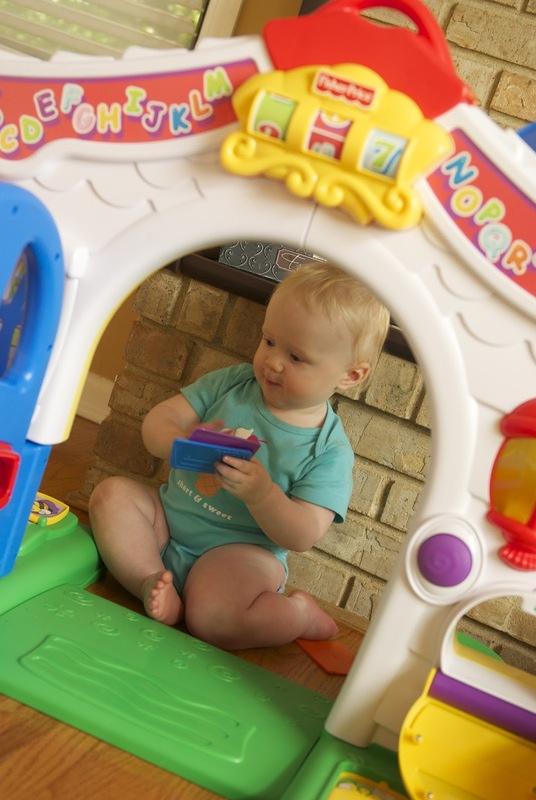 The "it" toy right now for Eloise is the Fisher Price Laugh & Learn Learning Home. We had it down in her playroom and switched it out with something else last week. She was thrilled! 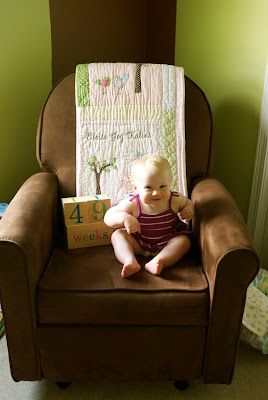 She loves the music to dance to, door to open, buttons to push, and, of course, the sturdiness to hold her weight.